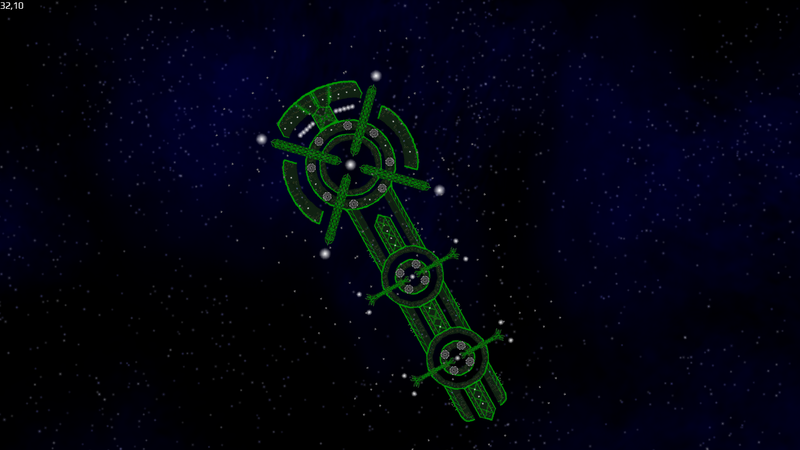 After Archon Ashann went to meet the BUREAU OF RESEARCH AND DEFENSE, Ashann went to the Center of the Sovereignty, on the planet Illater, in the Illater system. ( :-; ) The High Archon met with Ashann and all the other members when he called an Assembly. Kaavex enabled the holographic interface in the center of the ellipse shaped room, sitting on a chair, hands on the ellipse-shaped table with a holo-interface in the center. The Archon who was missing attended the meeting using his holographic device, since he didn't have time to travel to the capital. Kaavex: "I called this assembly today for one very important matter." He paused for a moment, and gestured to Ashann, "Will you handle this?" Ashann: "At 14:20 hours, January 16, G.Y 3019, the Illateri Sovereignty survey ship Surveyor made contact with a foreign entity: The Bureau of Research and Defense." Videos of the encounter appeared in the center of the room. "We come in peace..." "If your intents are diplomatic, dock at nearby ARMED STATION Z-332..." And many more clips of the encounter appeared, finishing with the re-appearance of Archon Ashann. It read "OFFICIAL ALLIANCE PROPOSAL", containing the standard Bureau alliance proposal although there were spaces for twenty other signatures... "Now. As you can see, i've signed the document, however because High Archon Kaavex and at least sixteen of the twenty Archons in the Illateri Assembly for this alliance proposal to be approved. Now, we can gain a lot of technology and benefits from allying with the BUREAU OF RESEARCH AND DEFENSE, such as the tech they used to teleport me to their room in exchange for our help and technology." other Archon 1: "But that means we'd give them some of their secrets!" He said. other Archon 2: "But we'd also gain a lot of their secrets too. Wouldn't that outweigh the risks?" The other Archon argued. Ashann: "You know, this could go on all day. What matters is we'd have a new ally in the galaxies full of terrors: Everyone in favor of the alliance sign the document(.)" Seventeen other Archons, including Kaavex signed the document, and when passed over to the three others, they hesitated but reluctantly signed it. All they need to do is bring the document back to the BUREAU, but according to the Illateri Sovereignty, the ally status is official. THE BUREAU OF RESEARCH AND DEFENSE @Fort_Master_Gustav is now allied with the ILLATERI SOVEREIGNTY. EDIT: Missed a period somewhere.